There are certain characteristics that every hiring manager looks for when making a decision on whether or not to hire someone. Not every hiring manager is going to think alike, but more likely than not, they are going to consider hiring someone with these 4 characteristics, over someone without them. This is near the top of virtually every manager’s list, because it truly is one of the most beneficial skills an employee can have. In any position that involves you interacting with a supervisor or coworker, it’s crucial to listen carefully and respond effectively, especially when instructions are involved, in order to be more efficient. It’s important that you are clear and confident when communicating your own observations and points of view and have the ability to participate in true two-way communication. We need to know we can rely on you to be there. Everyone has an occasional personal emergency that might throw a wrench in your schedule, but desirable workers make sure those instances are truly rare. Get sufficient sleep so you can get up on time and work effectively when you’re on the job. You want to make sure you know how you are getting to and from work, so you’re not stuck trying to figure it out last minute. Also, have a system worked out to get the kids off to school and picked up in the afternoon. Part of being a valuable employee is having the ability to be flexible. Even in the industrial field, workers are now expected to turn to be able to do a variety of tasks. An effective employee can learn new tasks quickly and shift gears easily. In fact, a variety of different tasks is a great thing for most employees. It keeps the job interesting, and having to learn new skills means that your value as an employee is constantly increasing. All of the above qualities are a part of getting along with everyone on the job, whether that your supervisors, managers, or coworkers. Cooperative employees can accept supervision and criticism. They’re willing to follow someone else’s procedures to achieve another’s goal without complaint. Sometimes this requires teamwork and cooperation with peers. Sometimes it’s following instructions to the best of your ability. No one has all these qualities in perfect measure, but good employees try to maximize them for the sake of the job. Let prospective employers know your strengths in these areas, and let them know you understand their importance. 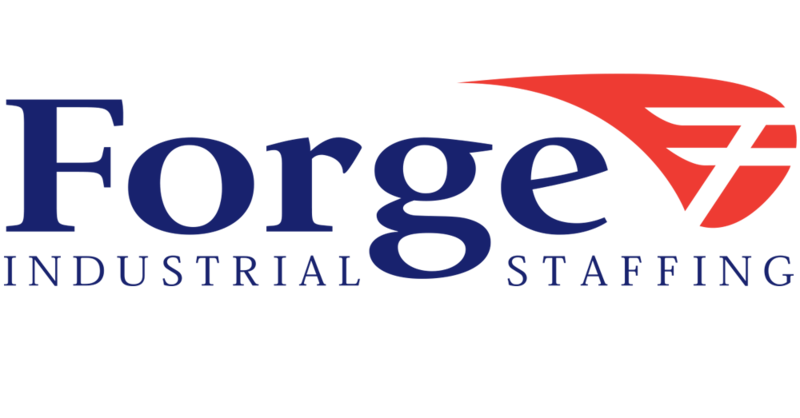 Forge Industrial Staffing has been a leader in the staffing industry since 1995 and still growing! We take pride in our community involvement by not only helping individuals find short and long term employment, but also working with organizations in our community that do everything from helping to feed the hungry, to making sure that families find presents under their trees at Christmas time.